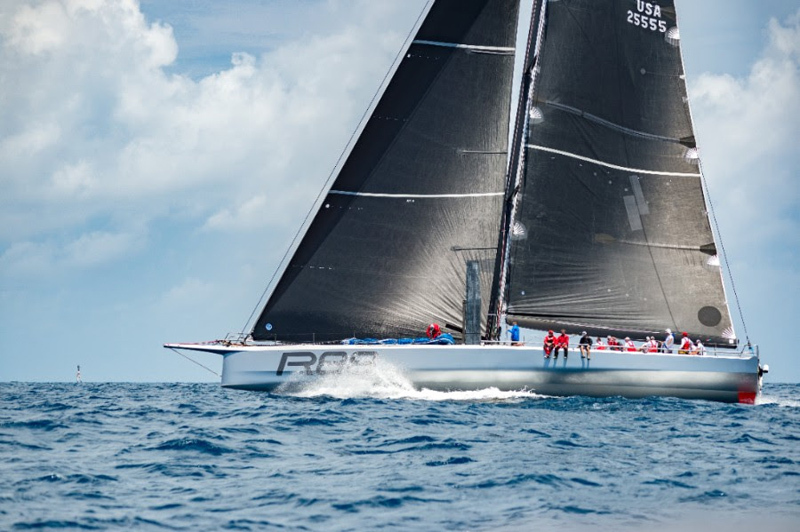 With the retirement of Line Honours favourite Rambler 88 from the transatlantic Atlantic Anniversary Regatta race from Bermuda to Hamburg, Germany, the cards have been shuffled for the remaining 15 racing yachts. Whilst Rambler is on her way to Newport, RI at the nearby US East Coast, due to a lost rudder [and with all crew reported safe], Ker 56 Varuna is now fighting for the win with the slightly larger IMOCA 60 Malizia – Yacht Club Monaco. But with less than two days since the start in Bermuda, and more than 2,700 nautical miles to go to the finish line in Germany, everything is up in the air. 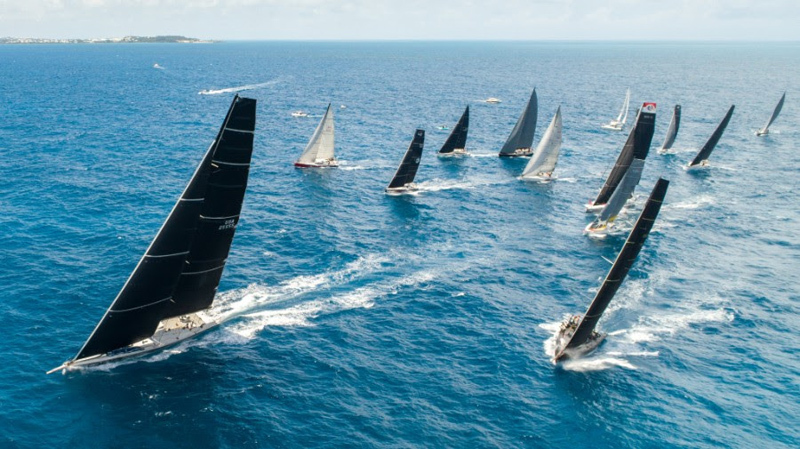 The organisers said, “It will be the battle of two state-of-the-art racing yachts and two German skippers from the Norddeutscher Regatta Verein [NRV]: Jens Kellinghusen’s sleek, all-black Varuna versus Boris Herrmann’s semi-foiling IMOCA 60 Malizia – Yacht Club Monaco. “Varuna has shown an outstanding performance in this race so far, and after about 36 hours is still leading on the water as well as in IRC Zero. But the uber-modern IMOCA 60 with offshore pro Boris Herrmann has her eyes on the prize as well, and is just a bit more than 20 nautical miles behind Varuna at the current stage. “Kellinghusen’s crew includes America’s Cup and Volvo Ocean Race sailors. Herrmann is one of the top offshore racers in the world, and will be the first German to ever compete in the storied Vendée Globe in 2020-21. He had delivered his yacht solo from Europe to Bermuda for the race start. It is promising to be an epic duel on eye level. And other ambitious competitors still have a chance for a podium result, especially after corrected time. “For Rambler 88, the current race has come to an unexpected early end. “This morning at 02:24am UTC, the Race Committee received a notification of retirement from Rambler 88 Navigator Stan Honey. At around 01:30am UTC, Rambler had contact with an unidentified object in the water, and lost her port rudder”, says Stefan Kunstmann, AAR Race Officer of the Royal Ocean Racing Club [RORC]. The remaining fleet will need to brace themselves for potentially inclement weather conditions, as they are nearing the ice exclusion zone. The crew of Best Buddies, which already started on July 2, 2018 in a special division, reported chilly air and water temperatures as expected. In addition, tropical storm Chris is moving with about 8 knots in NE direction. “The Race Committee is working with professional forecasters and is prepared to warn the fleet if need be”, adds Stefan Kunstmann.